I describe depression as feeling all the physical symptoms of being sad — without knowing why or having any reason to be sad. Some who are biologically susceptible to depression may not see it surface until something bad happens in their lives. For others, there is no apparent rhyme or reason to the depression. That's because depression is an illness, just like cancer, heart disease or diabetes. Yes, environment can factor into contracting these diseases. But, more often than not, it just happens, and nothing can be done to change it. That's the same thing with depression. You can have a seemingly great life. Nothing is going wrong. But just like any other illness, it can just sneak up on you. Some people wrongly think that depression only happens to people who are going through hard times. That's like saying cancer only happens to people who smoke or eat junk food. And neither one of those statements or true. Would you think a successful man who recently won an Oscar would be battling depression? Probably not. 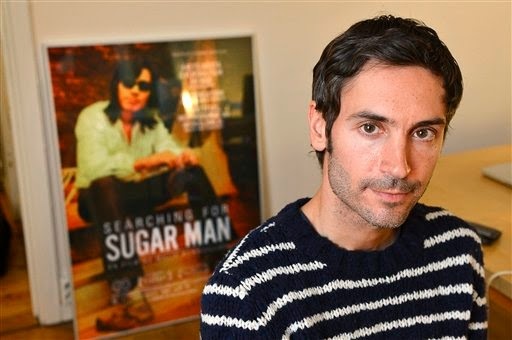 Well, this is what happened to Malik Bendjelloul, the Oscar-winning director of the documentary "Searching for Sugar Man." His brother, Johar Bendjelloul said in a statement released to CNN, "(Malik) had been struggling with depression for a short period of time, and depression is something you can die from,"
And Malik, 36, did die from it. He killed himself on Tuesday in Stockholm, police said. It was a shock to those who knew him, the Associated Press reports, considering Malik was known for his high spirits. His brother Johar said this is the hardest thing he's ever had to deal with. There is no logical reason Malik took his life. Everything was going so well for him, and within only two years, he had rose to international fame. In 2013, Malik's debut-feature “Searching for Sugar Man” won an Oscar for best documentary. The film tells the story of Detroit-based singer-songwriter Sixto Rodriguez, who flopped in the United States but became a superstar in apartheid-era South Africa without even knowing about it, the Associated Press reports. British film producer Simon Chinn told AP, "It seems so unbelievable. He had everything to live for." But that's the thing — when people are battling with depression, they don't want to die. Not really. They just want the pain to stop. And they are not in their right mind when making this decision. They don't think they have "everything to live for" at that moment. If a person with cancer died, you would not blame him or her. In the same way, Malik should not be blamed for what he did. He died from a disease. If someone ever tells you, "I'm battling with depression," get them help immediately. They need treatment. And there is no shame in that. If someone was battling a physical disease, you wouldn't hesitate in rushing them to the hospital because it could mean the difference between life and death. It should be as urgent, if not more so, to do this for someone battling mental illness. It could save their life.